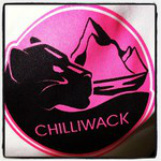 Welcome to the Chilliwack Pink Panthers Den! Chilliwack Field Hockey has been alive and well since the 1980's. The Chilliwack Pink Panthers Field Hockey Club as it is now, was founded in 2003. Our mission, through sport is to promote field hockey for all levels and create community sporting opportunities outside of school sports for young women. 2019 Spring Information and Registration has been posted on each of the team pages! Please contact chwkpinkpanthers@gmail.com for more information. To get a jump start on the season. Club Calendar will soon be available for the entire season. We are also bringing in a few indoor sessions! Why? To try something new. Building on the success from last year, we will have the game nights (Sunday) continue this year where anyone is welcome of any age to come out and play. This stems from the knowledge that we know the only way you ever improve is by taking practice and applying to games while playing people who are more skilled. I really hope everyone takes this opportunity to enhance your skill set and have a little fun on a Sunday evening. As always it is critical that athletes come prepared and have all the mandatory equipment. Thank you for the generous donation from the Sardis Kiwanis Club we are able to keep our costs down and purchase new equipment.